IFTN caught up with director Allan Cubitt to discuss the long journey in bringing ‘Death and Nightingales’ to the screen, working with Irish rising star Ann Skelly, reuniting with Jamie Dornan and the future of Irish co-productions. Based on the 1992 novel of the same name by Irish author Eugene McCabe, ‘Death and Nightingales’ follows the story of one young woman’s struggle to control her own destiny in Northern Ireland in the 1880s. She decides on her 25th birthday to escape her limited life and difficult relationship with her landowner stepfather, with the aid of a charming new-comer. Irish actress Ann Skelly (‘Red Rock’, ‘Kissing Candice’) stars alongside Jamie Dornan (‘The Fall’, ‘Anthropoid’) as the central character Beth Winters, whilst Matthew Rhys, Martin McCann, Charlene McKenna and Valene Kane complete a strong and predominantly Irish cast. Cubitt is a three time BAFTA nominated writer/director who has worked on a number of top television series including ‘Prime Suspect 2’ (1992), ‘The Hanging Gale’ (1995), ‘Murphy’s Law’(2003-7) and ‘The Fall (2013-16). 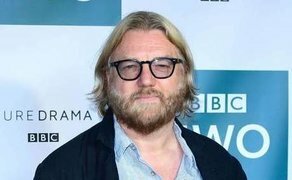 Allan has also been nominated for two IFTA Awards and was the recipient of the ‘Best British Crime Writing’ award for ‘The Fall’ at the 2015 British Screenwriters’ Awards. IFTN journalist Nathan Griffin caught up with Cubitt to discuss the BBC/RTÉ mini-series. IFTN: How did this project first come about and when did you first discovered the novel? IFTN: The series sees you reunite with Jamie Dornan who you brought to prominence on ‘The Fall’, and who has spoken so highly of your relationship and the opportunity you gave him on that show. Was he always in mind for you whenever you began casting this project, and can you tell me a little bit about that working relationship that you guys have? IFTN: What was it about Ann that caught your eye? IFTN: How has the co-production dynamic worked between BBC & RTÉ and do you think it's a viable option for Irish dramas going forward? IFTN: Northern Ireland Screen have been quite prolific with original content over the past few years. How have you found working with them over this series, and in the past on ‘The Fall’? IFTN: I heard Jamie talking about that as well, and I'm sure it brings a great camaraderie onto the set whenever people already know one another. Where they can be quite comfortable in knowing their roles, and getting the best out of each other onset.